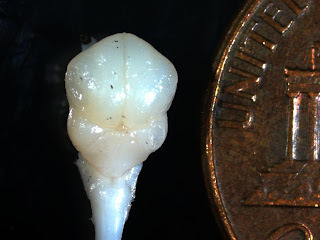 If you are familiar with my blog, you have noticed that my posts mostly cover our fieldwork and/or lab experiments. However, today I would like to make an exception to share the news that the Chipojolab has gone viral. 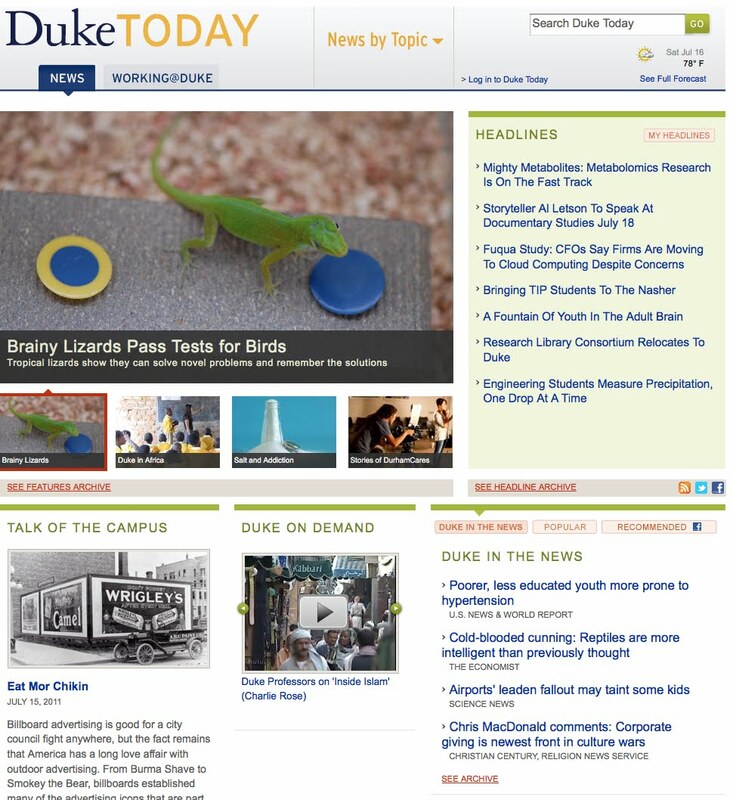 To my surprise, the results of our study evaluating behavioral flexibility (or as we jokingly refer to it, brainy lizards) have received a "little amount" of media attention. Below are few sites covering our "story". As a baseball fan I believe that the "Ten Run Rule" might be applicable to coverage of this story. The role of behavioural flexibility in responding to new or changing environmental challenges is a central theme in cognitive ecology. Studies of behavioural flexibility have focused mostly on mammals and birds because theory predicts that behavioural flexibility is favoured in species or clades that exploit a diversity of habitats or food sources and/or have complex social structure,attributes not associated with ectothermic vertebrates. 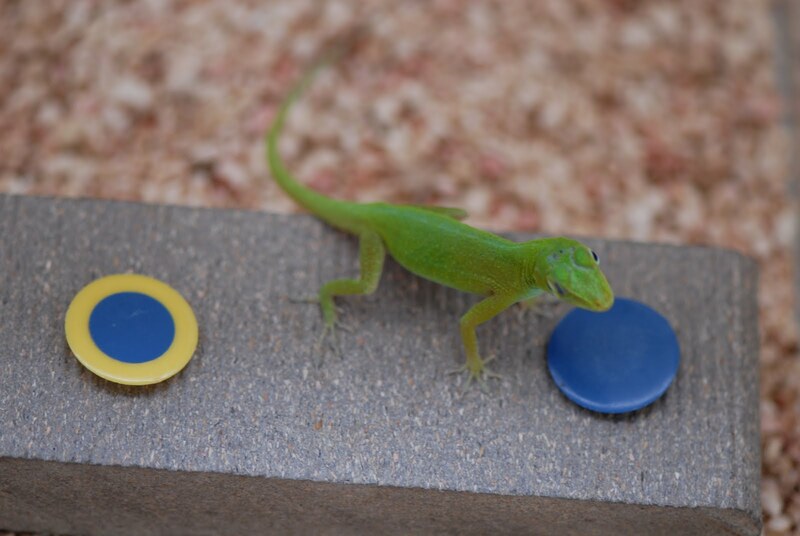 Here, we present the results of a series of experiments designed to test cognitive abilities across multiple cognitive modules in a tropical arboreal lizard: Anolis evermanni. This lizard shows behavioural flexibility across multiple cognitive tasks, including solving a novel motor task using multiple strategies and reversal learning, as well as rapid associative learning. This flexibility was unexpected because lizards are commonly believed to have limited cognitive abilities and highly stereotyped behaviour. Our findings indicate that the cognitive abilities of A. evermanni are comparable with those of some endothermic species that are recognized to be highly flexible, and strongly suggest a re-thinking of our understanding of the cognitive abilities of ectothermic tetrapods and of the factors favouring the evolution of behavioural flexibility. If I have grabbed your curiosity and you would like to read the paper, this is a link to it. Also, below are a few movies of the "brainy lizards" in action. Yes A. evermanni's brain is small, as illustrated by the picture -- a testament that size is overrated. Sorry for all the shakiness of the first movie, a little too much coffee in the morning. However, this one has a strong sentimental value because it shows the second successful trial. I was not smart enough to record the first trial, which might also explain the shakiness. At least to me, both video #1 and 2, illustrate a somewhat unexpected result. Look closely at the way the lizard is dislodging the disc, it is using its snout as a lever, which is a complete novel behavior, not the modification of a natural striking behavior. This is what is commonly used as a benchmark of high levels of behavioral flexibility, in birds and mammals. I would also like to stress a few points that are not in the paper, but that nevertheless played a major role in the development of this line of research. --This has been a labor of love. For many years I, and over the last couple of years, Brian, have invested a nice amount of energy in developing methodologies to evaluate the cognitive abilities of anoles. We have built a nice number of gadgets, from remote-control choice boxes to PVC mazes. After all of our toils, we have come up with something surprisingly simple that works. As a side note, our next door neighbor and cognition consultant, Rindy, provided valuable insights into how to implement this methodology. --My “friends,” who are quite familiar with anoles, constantly told me, "what you are doing is a waste of time; there is no way that anoles will perform behavioral trials for food." However, I am a little stubborn and this time it seems that I might have been correct. 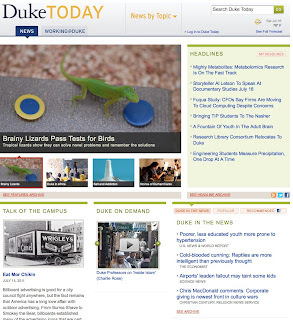 --This methodology was developed in response to reviewers who criticized a grant proposal by pointing out that there was not a clear behavioral test to evaluate if anoles are able to discriminate colors or patterns. To my surprise, we now have the methodology, and just recently the grant. It looks like this time Lady Luck was on our side. --Last but not least, if you like this paper, I highly recommend that you stay tuned. We are currently working on a series of manuscripts addressing cognitive abilities and brain evolution in anoles. I work on numerical discrimination in amphibians, and I'm frequently confronted with prejudices regarding their cognitive abilities. I guess it's quite similar, and mostly unwarranted, especially given some intriguing results from fish. I'll cover your paper on my blog too, but for today I've scheduled experiments, so it will take a moment.